Hand Painted Tile Finely Done WHO MADE IT? In Pottery > Ceramic Tiles > Show & Tell. 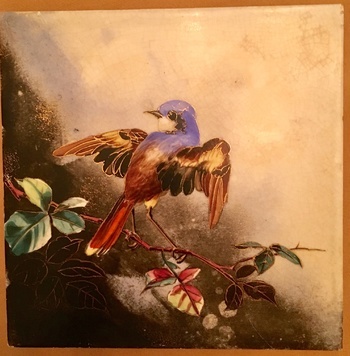 I’m wondering who made this tile (perhaps bought as a blank and painted elsewhere?). 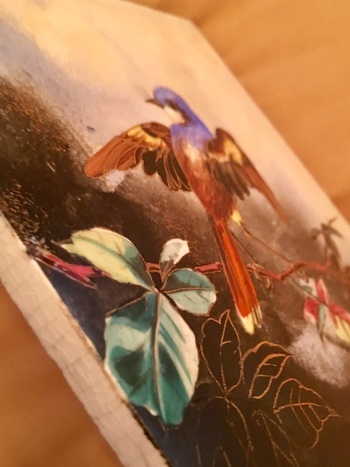 A beautiful all hand painted 6” x 6” tile with fine gold highlights, it is 3/8” thick, glazed edges. The back has circles, appears to be unglazed. Maybe the circles on the back are unique to a company ... anybody know? I love birds and these are lovely. Do not know about them otherwise. 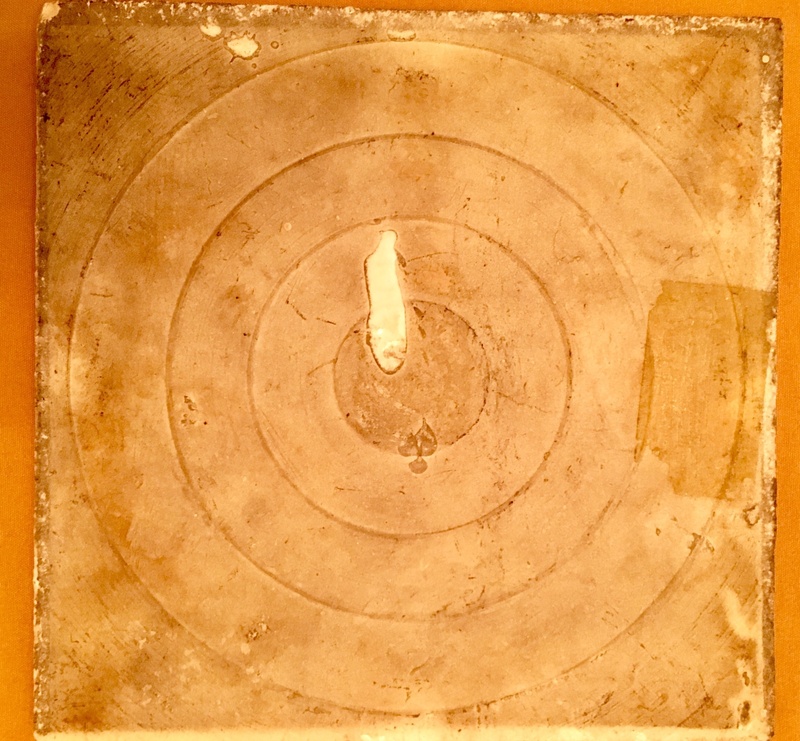 I think the circles on the back are to help the tile adhere to the "mud", (adhesive looks like mud), which is applied to the floor. Thank you for the comments. 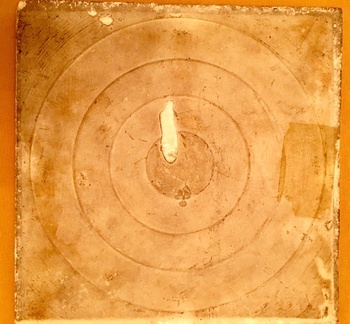 An expert on antique tiles may recognize the back, a “TARGET” pattern (tiles with raised or sunken circles on the reverse). 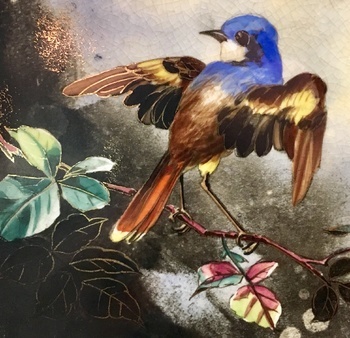 Peter & Diana Clegg have an online identification article on American tiles. I’m wondering if my tile is English or German, suppose it could be American. The back seems distinctive.